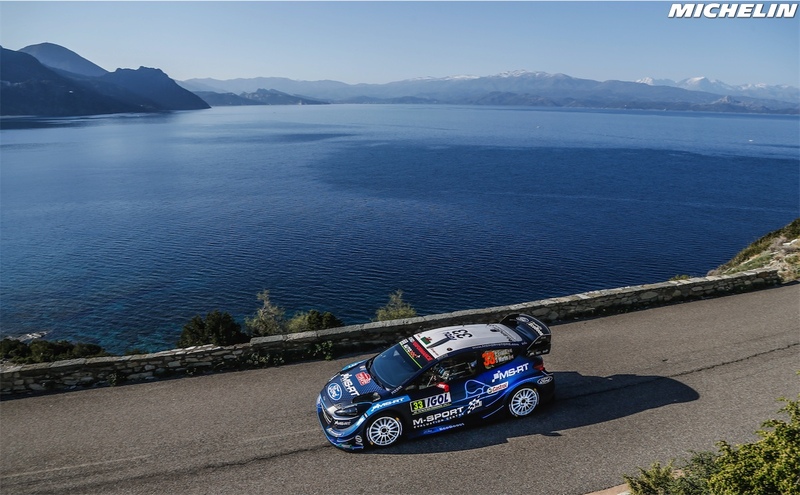 March for Michelin Motorsport comes to a close with the FIA World Rally Championship and MotoGPTM World Championship both in action this weekend. WRC was at the Tour de Corse, with the motorcycles in Argentina. 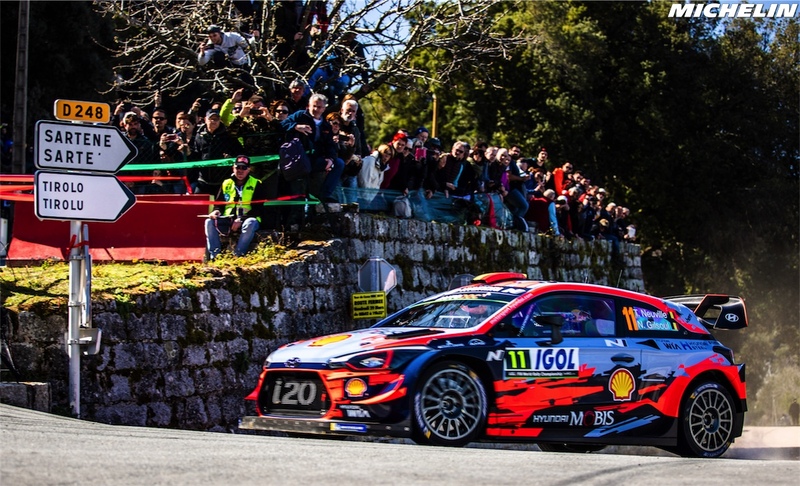 Hyundai driver Thierry Neuville claimed his 10th FIA World Rally Championship victory in Corsica at the Tour de Corse. However, Neuville benefited from Elfyn Evans’ demise in the race, as the Ford driver looked poised to win. Earlier in the rally, Evans won Michelin’s 500th Tour de Corse stage. He led the rally through 13 of 14 stages. But on the fourteenth and final stage, he broke his right front wheel, resulting in a heartbreaking drop down to third. Sebastien Ogier slotted into second in his Citroen. Here is Michelin’s post-rally WRC release. Next up for the WRC is Argentina, April 26-28. Fittingly, that’s where MotoGPTM was this weekend. 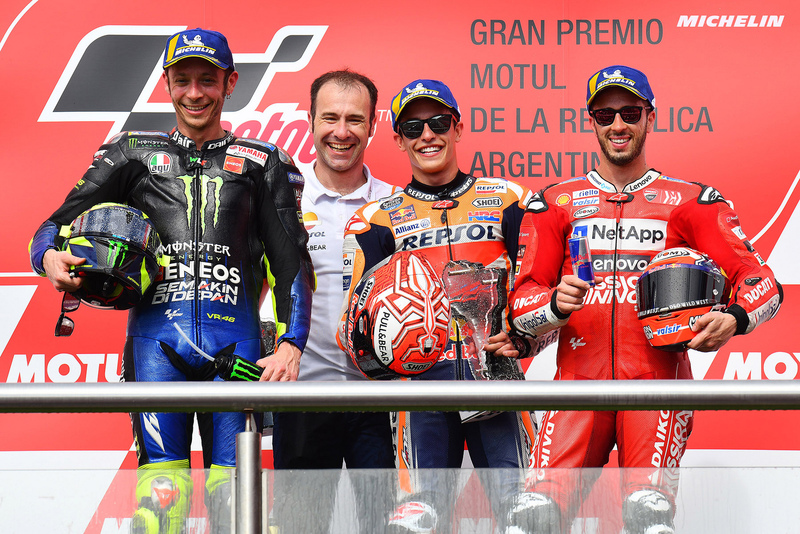 Repsol Honda’s Marc Marquez claimed a dominant victory from pole in the series’ second round of the year in Argentina. He utilized the hard MICHELIN Power Slick front and medium rear compounds. Yamaha’s Valentino Rossi and Ducati’s Andrea Dovizioso completed the podium. Here is the Michelin release from this race. Next up here is the Red Bull Grand Prix of The Americas from Circuit of The Americas, April 12-14. On March 8-10, all of MotoGPTM, FIA WRC and Formula E raced. Here is a recap of all those races from that weekend. On March 15-16, Michelin’s two global endurance sports car championships were in action at SuperSebring. Here is the recap from that weekend. The ABB FIA Formula E Championship raced last weekend, March 23, in Sanya, China. Season four champion Jean-Eric Vergne claimed his first win of season five. The DS Techeetah team won its home race. Vergne and DS Techeetah also became the sixth different driver and team to win in as many races this year. Oliver Rowland (Nissan e.dams, who won pole) and Antonio Felix da Costa (BMW i Andretti Motorsport) rounded out the podium. Michelin’s recap from that weekend is here.